Philadelphia has been known as the Cradle of Liberty since the dawn of America. Pennsylvania is the Keystone because we were the cornerstone of a new nation, holding it all together. 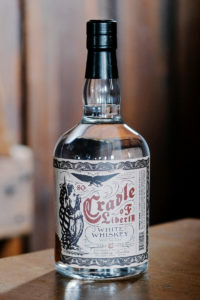 Cradle of Liberty White Whiskey is our tribute to these self-evident truths. Made with 100% PA grown malt from Deer Creek Farms, this is a barrel-fresh “baby” whiskey, from our cradle to your glass.